Welcome to our page about what we do. Firstly an introduction. Pearson Sports and Fitness Coaching was set up in Janury 2015. I, Jordan Pearson, am a qualified coach in football, futsal and tennis and a personal trainer. I have a lifelong passion for sports and fitness and I wish to share that passion with as many people as I can. Please see below the fantastic sports and fitness opportunities we offer. This February, Monday to Friday, 8.30am - 3.30pm, we are running the academy sports camps at Tytherington School and . One action packed weeks of multi sports and football fun will be available for 4 to 12 year olds. Please find all the details of our exciting summer programme below. Multi sports is a fantastic week of fun and varied sporting activity. Dodgeball, Basketball, Tennis, Football, Futsal are just a few of the exciting sports we deliver and when you add a whole host of high octane fun running games to the mix you know your child is going to have a great time. Following an action packed, record breaking series of camps in 2016 our team of coaches are looking forward to delivering a memorable summer of camps for 2017. Running Monday to Thursday in conjunction with every school term, we will pick your child up from school and take them to the top quality facilities of Tytherington School where they will experience coaching in a full range of sports and provide each child with a fantastic environment to develop their talent. 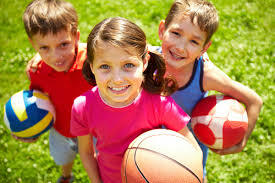 Pearson Sports Academy is the sports experience every childhood deserves. To read about our launch click here and to book or enquire about a place please click here. Freelance personal training for all ages and abilities. Jordan, who qualified through industry leading Premier Training International, provides an analytical and motivational approach that will put the fun into your fitness. Here is what one of his current clients said about him. I've been training with Jordan for over 3 months & he's brilliant! I've always struggled to get going with exercise but Jordan makes our training sessions fun and motivating. He plans my programme in a sensitve way to maximise my ability but always keeping it manageable and enjoyable. To book your complimentary consultation click here. Every Saturday morning from 9.00am to 12.00pm 4-11 year olds experience a fun, friendly, skill focused football coaching session at Prestbury Recreation Ground. Our team of qualified coaches who have a wealth of playing experience, deliver high energy sessions with the philosophy of mastering the ball through fun, at the heart of what we do. To book or enquire about a place please click here.